Your 3.5-hour tasting tour of Montreal’s Jewish neighborhood begins with a flavorful introduction at a smoked meat joint in Outremont. Sample three traditional Jewish dishes while learning about the history of Montreal’s food and culture from your guide. 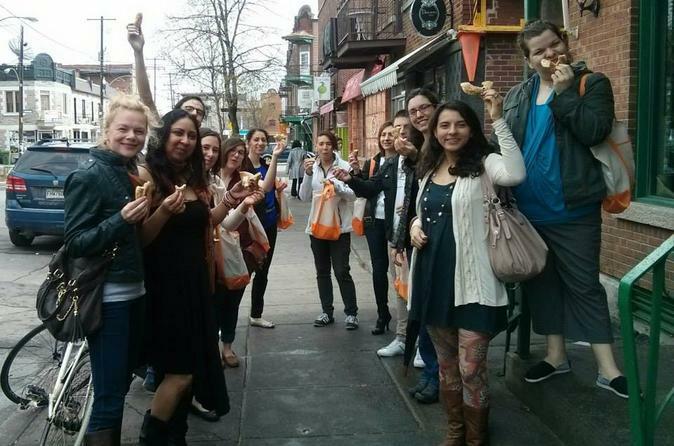 Walk through the neighborhood to a kosher bakery, where you’ll taste authentic Jewish sweets. Continue walking and then stop for a famous Montreal bagel, the ultimate test of Jewish food. Follow your guide through the streets as you continue to learn about the neighborhood and its residents, including well-known Jewish writers like Mordecai Richler. Stop by a local establishment that has been serving the neighborhood for more than 80 years. By the end of this tour, you’ll be comfortably full and feel more connected to some of Montreal’s most historic neighborhoods and one of its most prominent communities.